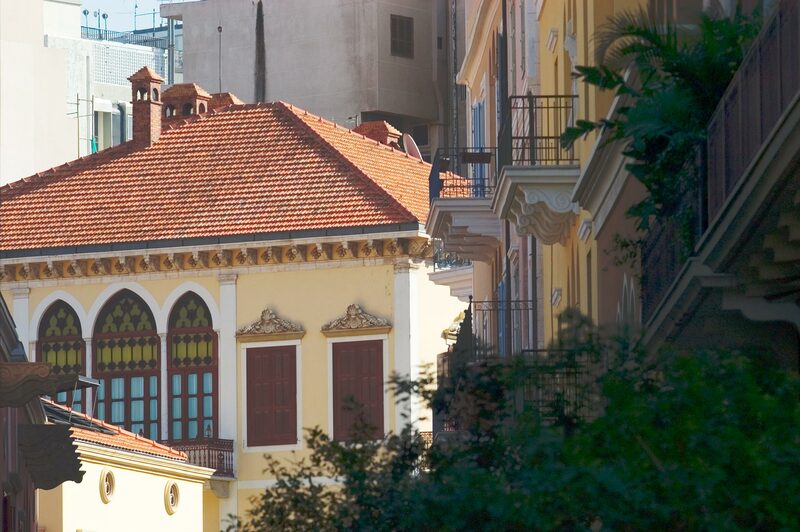 At the southeastern periphery of Beirut city center, Saifi, a traditional neighborhood with a preserved urban fabric has re-emerged. Saifi Village is a success story. Conceived along Lebanese vernacular tradition, four new clusters blend in style and color with a number of existing buildings restored to their original glory. Mediterranean pitched roofs, arcaded windows, simple decorative ornaments and harmonious pastel colors form the architectural language. The residential ambience is enhanced by a quiet environment and a carefully designed and landscaped public realm. It features two plazas including a central village square, the ideal meeting points for residents and visirors, surrounded by trendy galleries, retail shops, courtyards, a café and a restaurant. Brick paving and fountains, seasonal shrubs and flowers, wooden benches and children's playgrounds provide the tree-lined narrow streets with an appealing and communal character. Benefiting from underground parking facilities, the apartments ally modern comfort and security, elegant interiors and high-quality finishes. The area is serviced by a nursery school and several shops and restaurants. Quartier des Arts is vibrant with activities in its designers’ and art galleries, antiques and artisans’ shops, delicatessen stores, decorative art and beauty specialist boutiques. Saifi will extend [northwards], with the same pedestrian character and village characteristics, in a contemporary architectural expression, upon completion of the third-party District//S residential project.